Emily came to visit me not long after her birthday – I know, we haven’t posted those recipes, and there were many delicious ones. They will come! In honor of her birthday, I wanted to make her something truly Emily-esque. I’d made her strawberry cake before, but I wanted to take it one step further. I wanted to make orange strawberry banana frosting. Does that seem random? Not if you know Emily! Orange strawberry banana juice is to Emily like spinach is to Popeye. She often drinks it during our cooking extravaganzas. I took this as an excuse to order lots of extracts and flavorings from Frontier Co-op so that I could play around with them. They were on sale, it made me happy, let’s move on. . . I was very pleased with the results of my little experimentation, although for the second time, the strawberry cake/cupcake recipe I used frustrated the heck out of me. It was delicious and everything, but it makes a mighty mess – and I have a pretty decent sized mixer. I would recommend blending the butter and sugar first and then adding the other ingredients, but I haven’t tried this yet. To be fair, I actually think that was a good thing. Having that much cream cheese frosting on these cupcakes would probably be way too much – first-grade style worked much better. 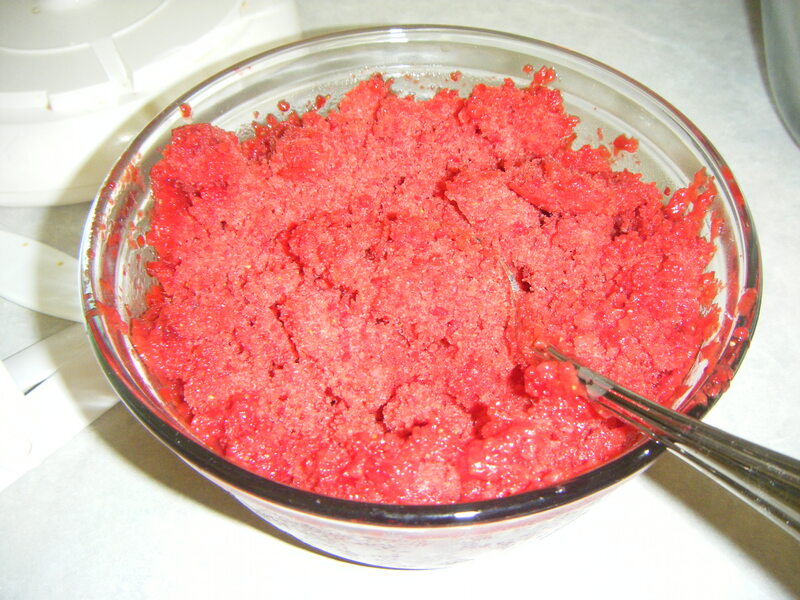 My final recommendation before we get into the actual recipe: let the pureed frozen strawberries thaw after you puree them and before adding them to the cake. This time, I had very cold frozen strawberries and when I pureed them, they were powdery, not liquidy. It caused me problems, I think. Note: If you’re feeling risk-averse, follow Deb’s instructions for putting the cake together. They work just fine, and I admit I haven’t tested this recipe using quite this order of recipe steps. However, I’ve now made Deb’s recipe twice and both times cursed when everything didn’t come together quite right and I wound up having to overmix it – something that rarely happens with Deb’s recipes, for me. So be bold, try it out my way! I know I will – maybe the next time I see Emily. Preheat the oven to 350 degrees. Grease your muffin tins or place cupcake tins/liners inside. 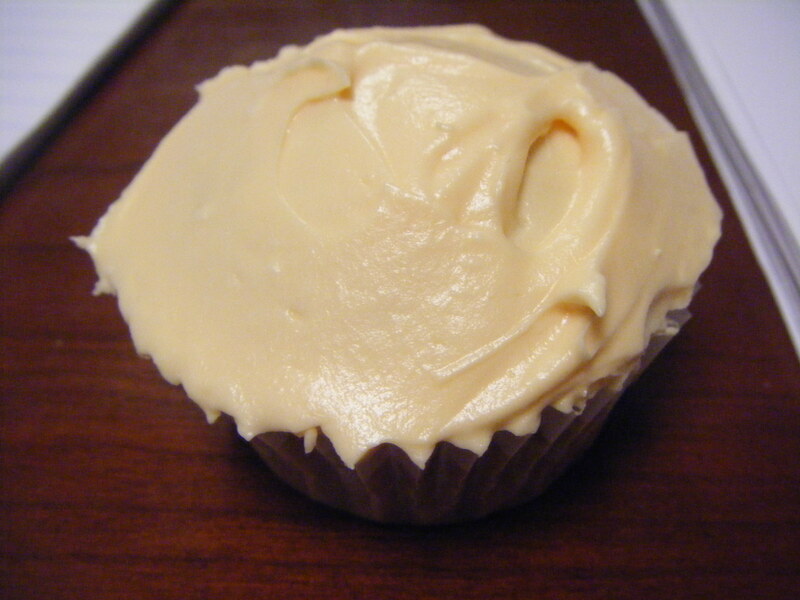 [Another note: Although they spread a lot and weren’t as pretty, I actually preferred the texture of cupcakes I put in cupcake liners/tins and placed on a foil-lined cookie sheet; they were less dense – it’s up to you!]. Put the sugar and the butter into a large mixer bowl and cream together. Add strawberry puree and blend. In a separate bowl, mix together the flour, sugar, baking powder, and salt. Add the dry ingredients to the large mixer bowl in batches, blending between batches. Beat the mixture for two to three minutes – don’t underdo it, or you’ll wind up overmixing after the addition of the egg whites. 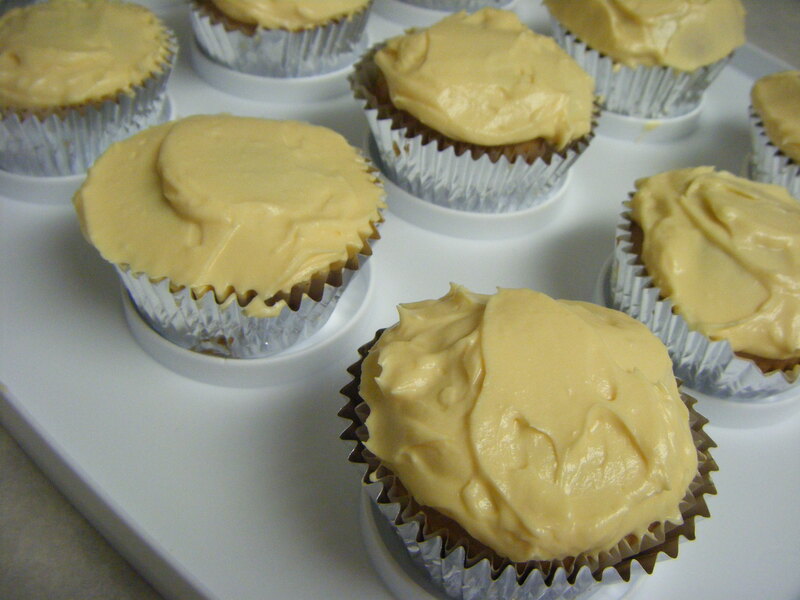 Deb is right – do not taste the batter at this point, because it is very yummy, and you will wind up with only 34 cupcakes instead of 3 dozen (not that I speak from experience). Get another bowl dirty because that’s life – whisk the egg whites and milk together and whisk them just until they’re well-blended. Add this mixture to the cake batter a third at a time and use a spatula to scrape the bowl and make sure you get all the egg whites and milk out. Mix the batter together just until it’s all blended. Bake the cupcakes for about 22-25 minutes or until a toothpick inserted into the center of one of the middle cupcakes comes out clean. Start checking at 18 minutes, though, because I had a random batch that finished in 18 minutes and you might have that experience, too. Cool completely (1-2 hours at minimum). While the cupcakes are cooling, clean your mixer bowl out and then make the frosting. 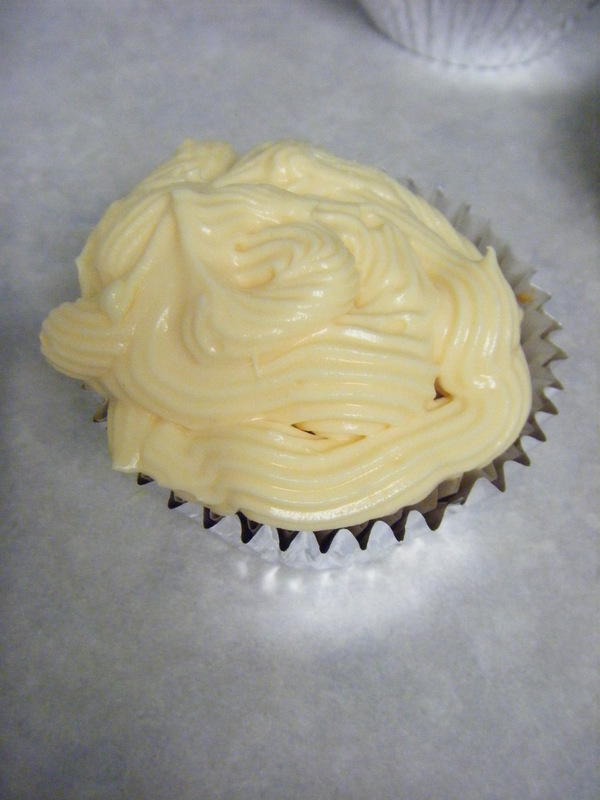 Cream cream cheese and butter together until it looks like frosting (is nice, creamy, well-blended, etc.). Add in each of the flavorings one by one, mixing after each flavoring. Don’t overdo it on the banana flavoring – it’s strong stuff. Frost the cupcakes however you like – but again, I recommend not using a whole lot of frosting or else you risk overwhelming the cupcake part of the cupcakes. If you’re going to do lots and lots of frosting despite this advice, I recommend doing a double-batch of the frosting. *You can also make a standard cake by greasing three nine-inch cake pans, placing circles of parchment paper in the bottoms of the cake pans, and baking for 30-34 minutes. I actually like the cake better than the cupcakes and can’t wait to try it with this version of the frosting! Thank you for doing something so special for my daughter! These look spectacular.